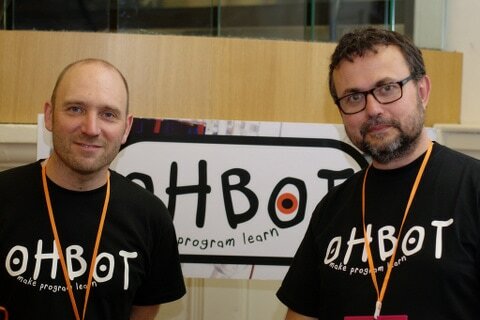 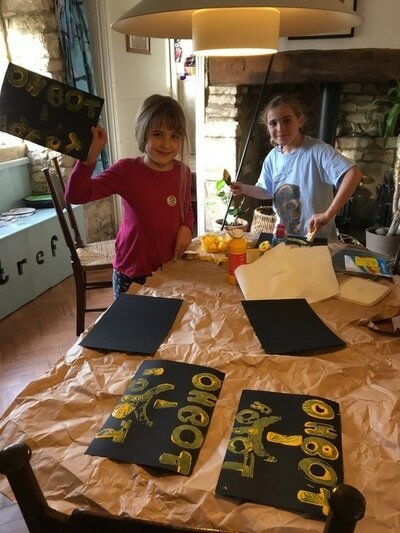 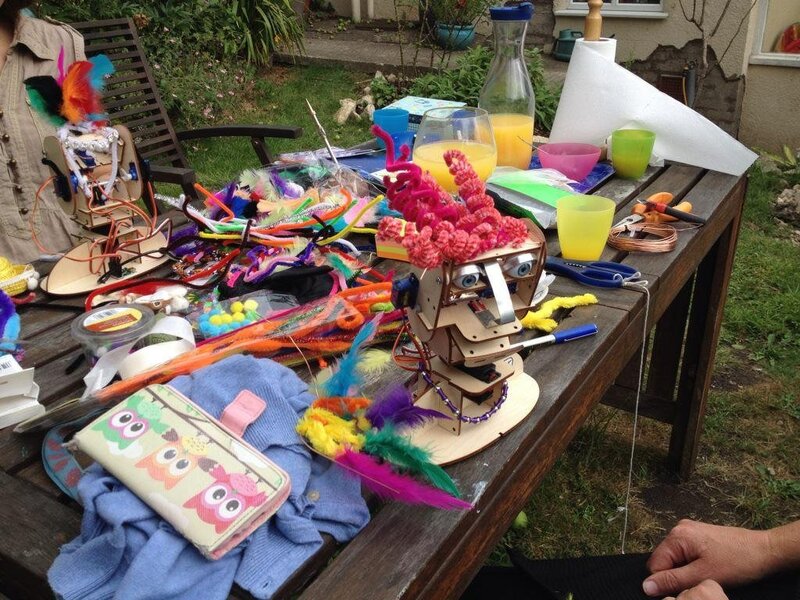 We made the first Ohbots at home in March 2015. 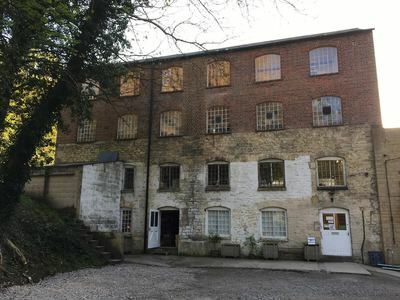 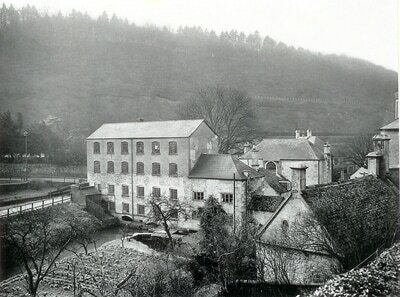 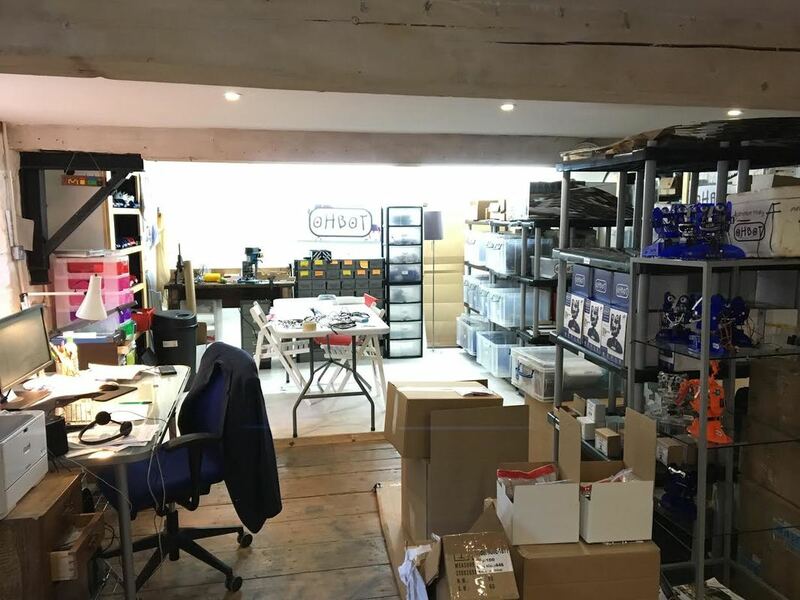 Ohbots are now made at Halliday's Mill in Gloucestershire. 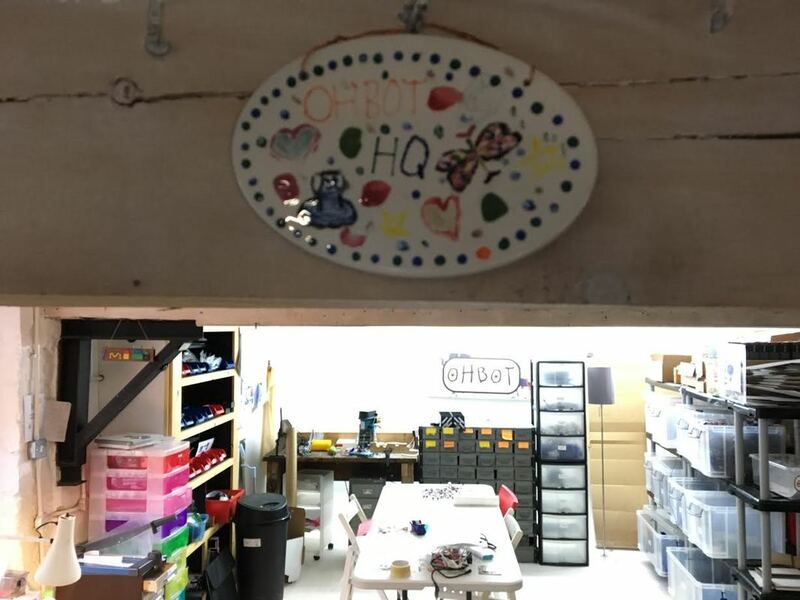 Ohbot HQ, we're just inside that door, probably arguing over who gets to use the good screwdriver. 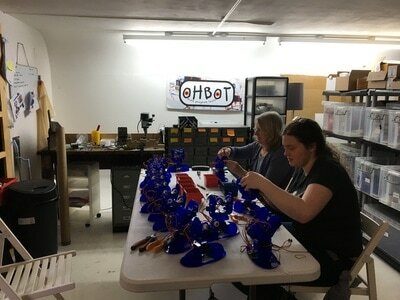 Assembling and setting up each Ohbot takes around an hour. 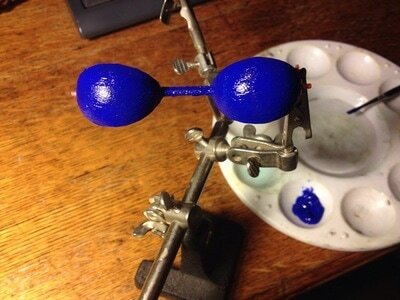 We used to have to make Ohbot lips by hand. 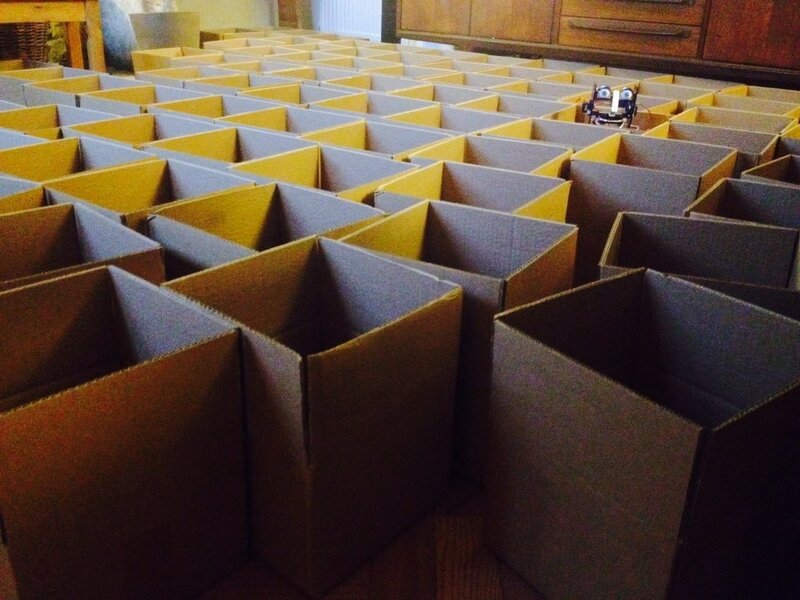 It took ages. 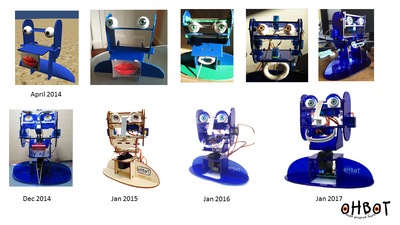 Dan spent 4 days making the lips for the Kickstarter robots. 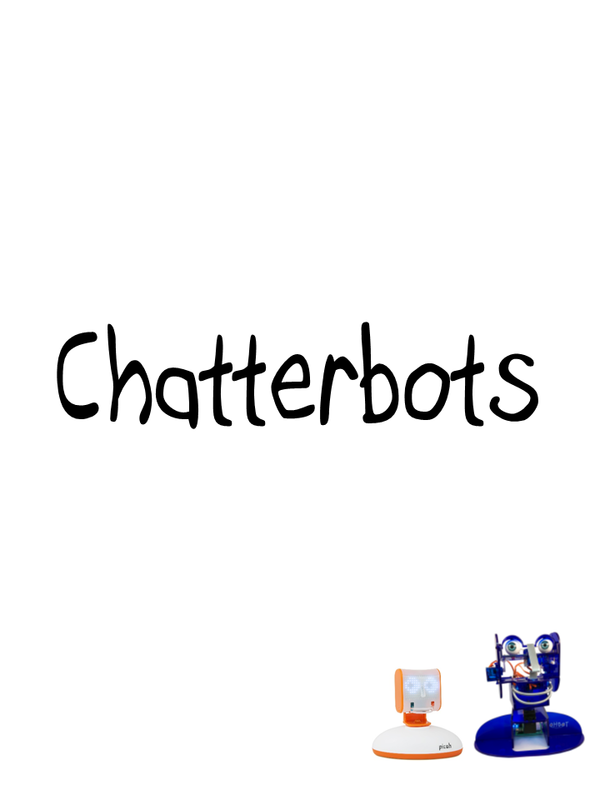 This is from the days of the wooden Ohbots. Amity supervises Innes. 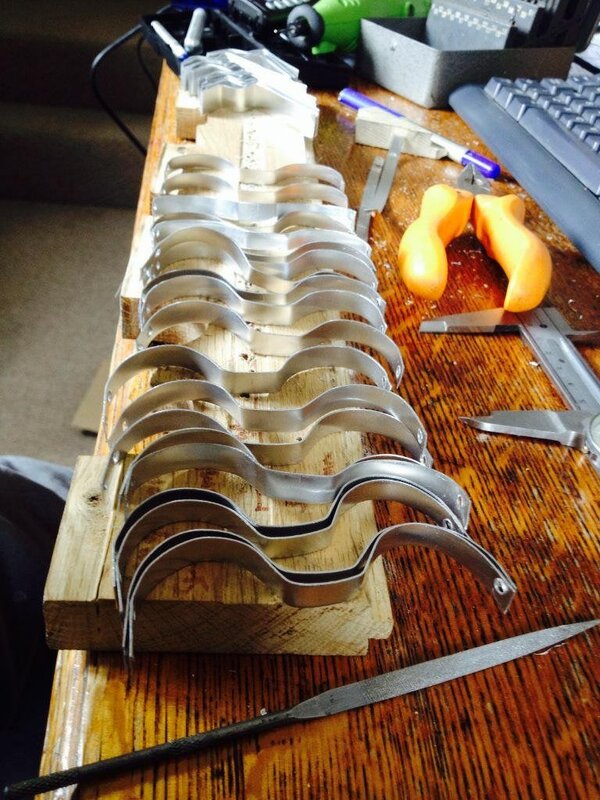 Old style eyelids had to be cut, shaped and drilled by hand. 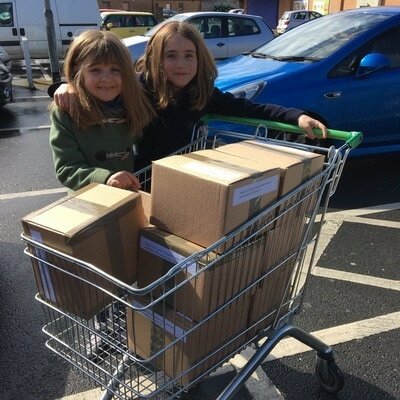 Happy days delivering Ohbots to the post office. 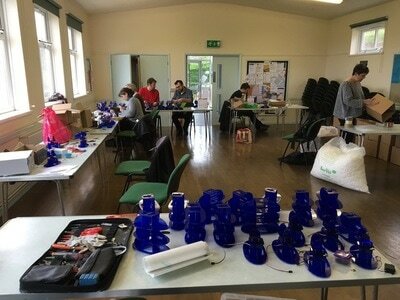 Early on we had build days at Randwick village hall. 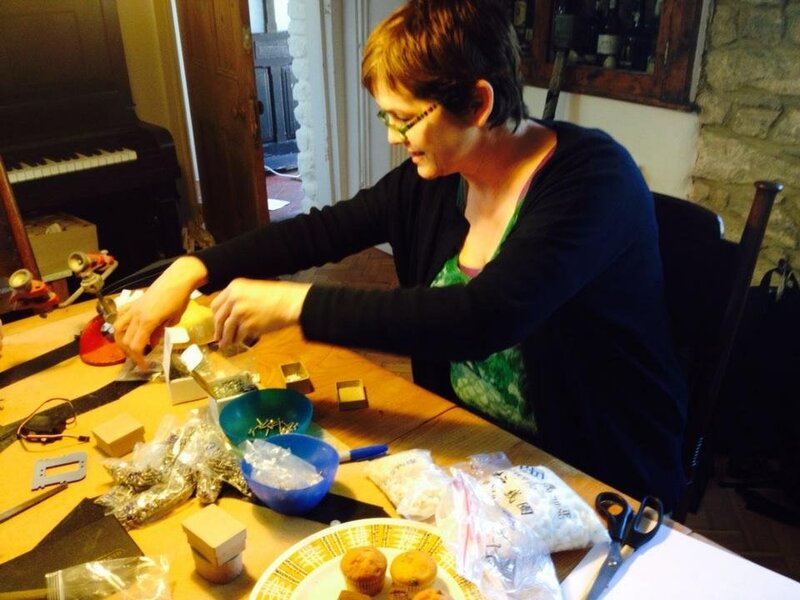 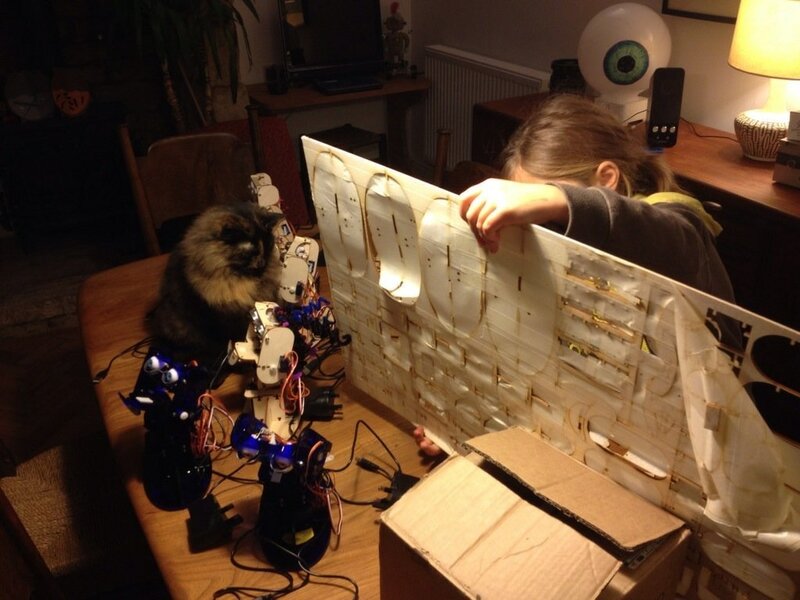 Sally midway through counting thousands of screws for the Crowdfunder Ohbot kits. 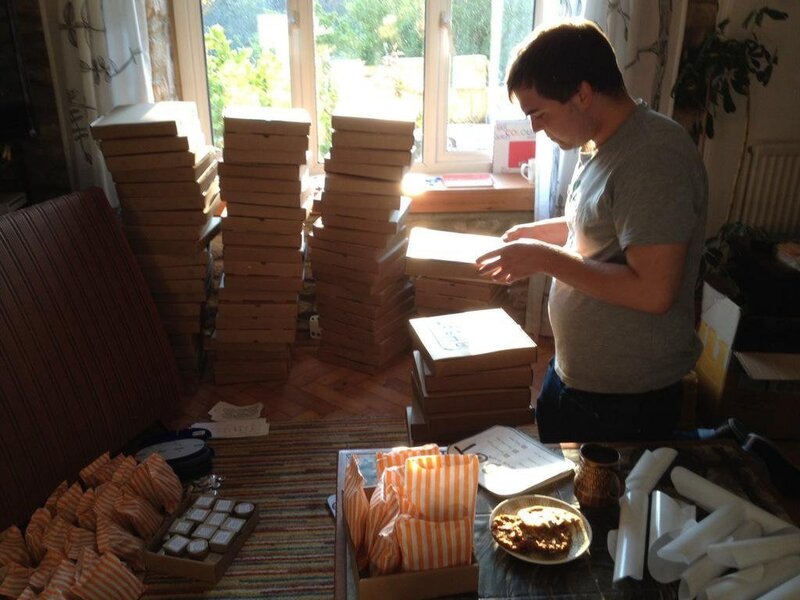 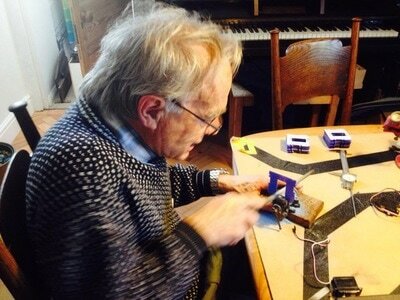 George preparing the Crowdfunder kits. Preparing the Crowdfunder kits. 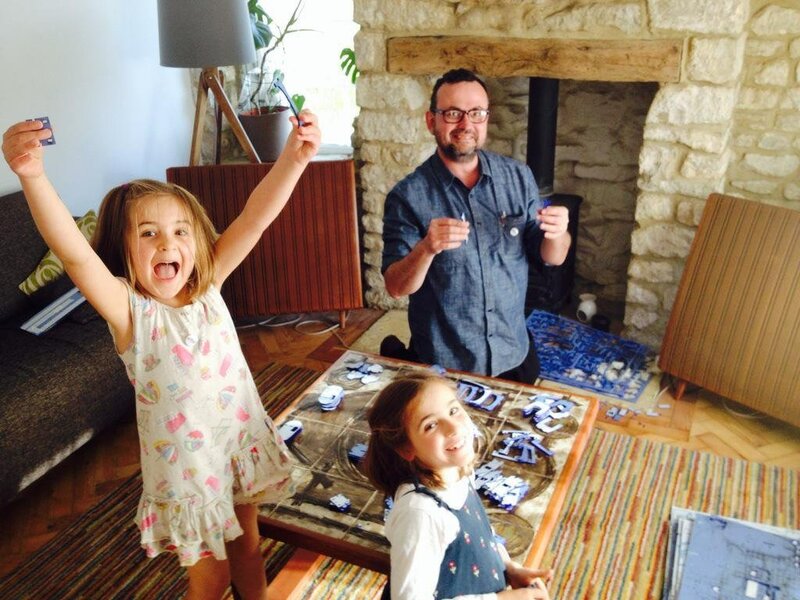 The square tiles on the coffee table used to sort the parts. 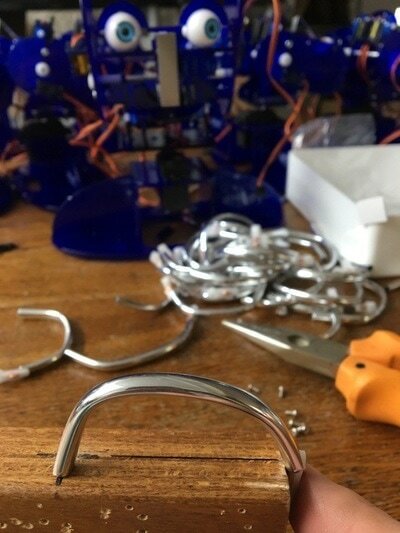 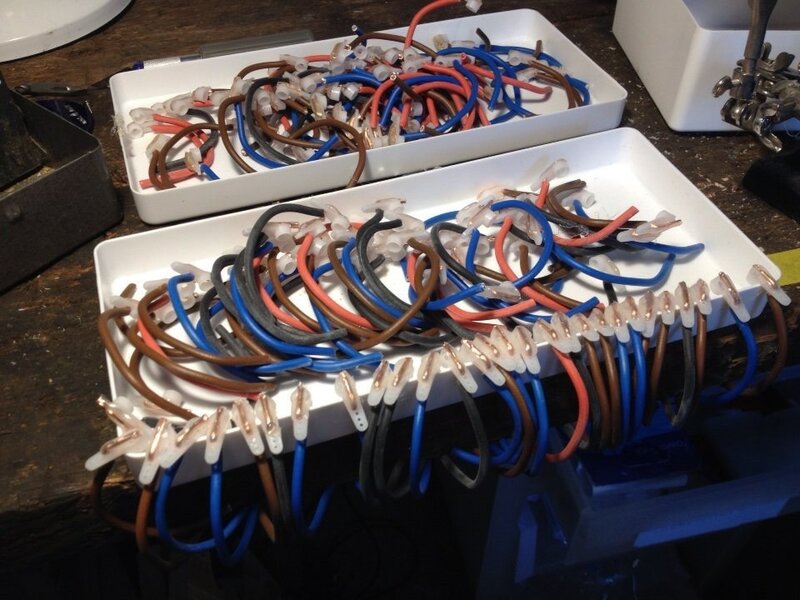 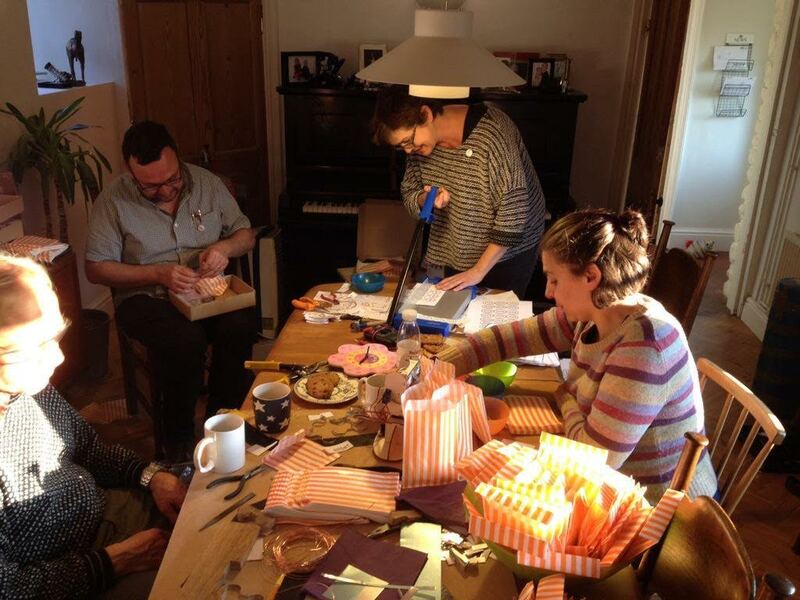 Crowdfunder kits were assembled at home over a very long weekend. 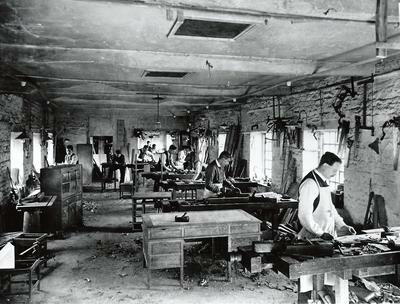 Halliday's has a long interesting history of manufacturing including its use as Peter van der Waals furniture workshop.